CAMBRIDGE, MA- GotoBus is pleased to announce our very best warm weather deals for 2010. With winter in full effect, many travelers have made a New Year’s resolution to travel more and are looking for budget friendly getaways to warm weather locales. GotoBus has been aggressively expanding their inventory to meet customer demands. One of the most popular destinations right now is Los Angeles. With temperate climes and so much to see and do, it is no wonder why travelers flock here. From Los Angeles, GotoBus offers numerous tours to well known attractions like Napa Valley, Las Vegas, Yosemite National Park, and the Grand Canyon. Another hot spot is the wonderful city of Miami! The Miami area has it all from adventure theme parks nearby to beautiful beaches and the natural wonder of the Everglades. Enjoy a cruise here or shop until you drop in South Beach. Perhaps the most sought after destination for those craving sunshine is the Hawaiian Islands. Known for its Polynesian culture, tropical climate, and pristine beaches makes this state top most travel lists. Book early because these tours tend to sell out fast at these rock bottom prices. Want to gift a vacation but are unsure which destination the recipient would prefer? Give the gift of warm weather travel with a GotoBus gift certificate and let them decide! Please note that all prices are current at the time of publishing. Additional vacation destinations, special offers, complete travel itineraries, and ticketing information are available online at GotoBus.com. While watching the news you are likely to hear about the arctic blast of cold air that is covering most of the United States right now. Words like wind chill, frostbite, and hypothermia are being tossed around left and right. For most people, it is right about this time when you start thinking about your next warm weather vacation. With that in mind, GotoBus has compiled our top five tours in one of our favorite destinations…Hawaii. Enjoy! Need to get away to a tropical island? Yes, yes, and YES! With a winter storm warning in effect today for Cambridge, MA nothing sounds better than relaxing on a Hawaiian beach enjoying the warm sunny weather. Even in tough economic times it is possible to plan a budget friendly Hawaii getaway and GotoBus can show you how. If your prefer a hassle free vacation where hotel accomodations, airport transfers, and sightseeing activities are included look no further than our 4-5 Day Hawaii Vacations. 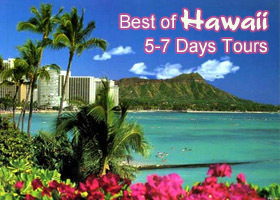 Our most popular tour, the Hawaii 4-Day Tour Package-C currently sells for $196. That is less than $50 per day! These rock-bottom prices won’t last forever so be sure to book your trip early. Free spirited travelers who like to spend lots of time on the beach and enjoy a less structured experience can enhance their vacation by booking some Hawaii sightseeing activities. 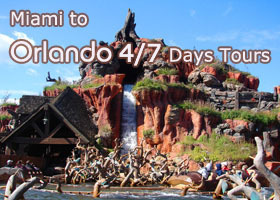 Sightseeing tours range in duration from a couple of hours to a full day and focus on a single activity or theme. GotoBus currently offers over 40 different Hawaii sightseeing tours so there is an acitivity to suit every traveler. The best part about these mini-tours is that they can be booked around your “relaxing schedule” and the prices start at just $25. Check out some of GotoBus’ most popular activities like the Waikele Center and Waikele Premium Outlets Trolley Tour, Diamond Head, Rainforest and Scenic Shores Tour, Hawaii Volcano Adventure and Hiking, Snorkeling and Boogie Boarding Eco-Tour Adventure .